If you’re looking for some inspiration for a Candy Christmas Tree, here are some Sweet examples. 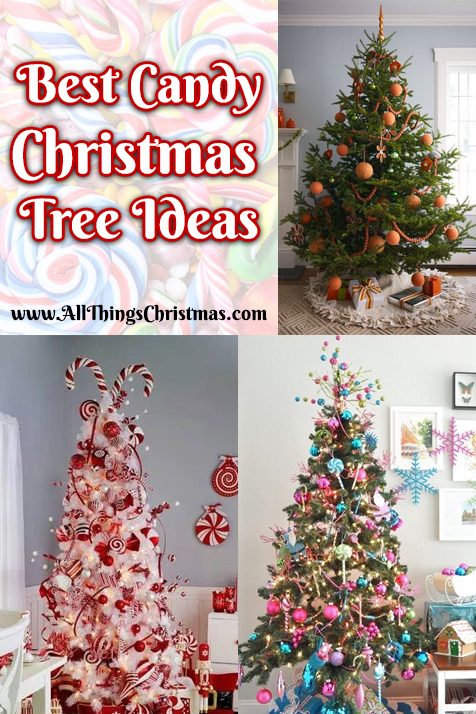 These wonderful and whimsical trees are the perfect alternative to a traditionally dressed Christmas Tree design, and especially if you have kids or candy fanatics in your house, adds a sense of wonder and magic for your holiday. 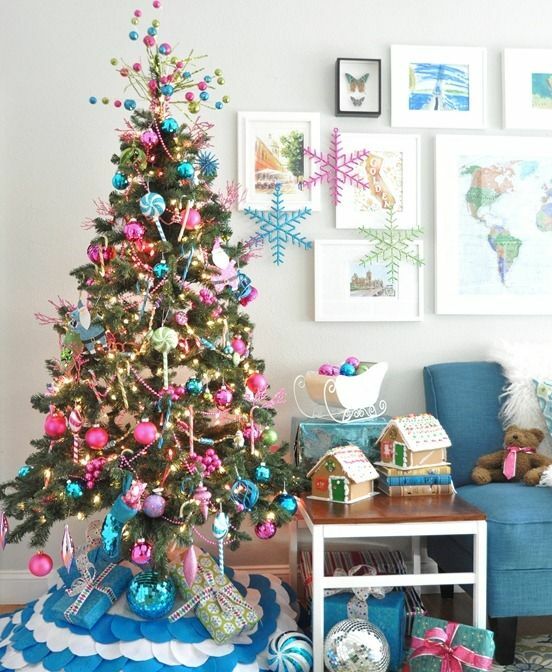 Check out our favourite Candy Christmas Tree ideas below! How great is this? With just a few Gingerbread house, men and candy-themed accessories (we LOVE the ribbon!) you can have a sweet-looking tree in a snap! The houses could be a fantastic Craft Project for before the tree goes up too! Doesn’t this tree look good enough to eat? 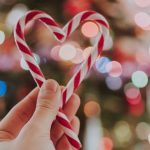 This Candy Cane theme could fit in to almost any home – even if you don’t have a white tree, the bright white and bursts of red would look great on any tree, especially a frosted – no wait, I mean flocked tree. Yum! 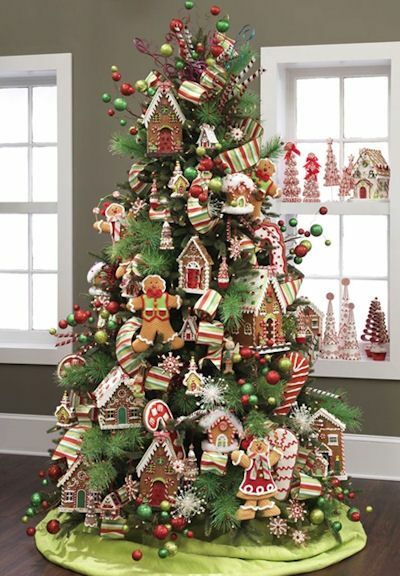 When I think of a Candy Themed Christmas Tree, this is probably the quintessental example. The Candy Swirl Lollipops, the bursts of Blue, Pink and Green. If you’re looking for a tree that kids are going to absolutely love, this is a great example. 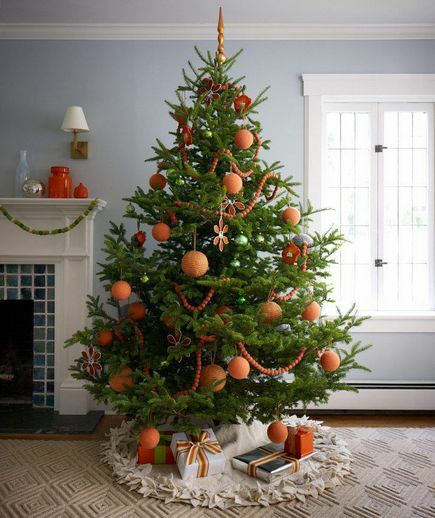 Not all Candy Christmas Tree ideas have to be bright and colourful, this frosted orange and pomander inspired tree is subtle, and still very sweet. 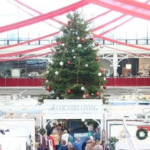 Perfect for a rustic cottage, or country Christmas, not too overly-decorated, a very mature and classy Christmas tree! 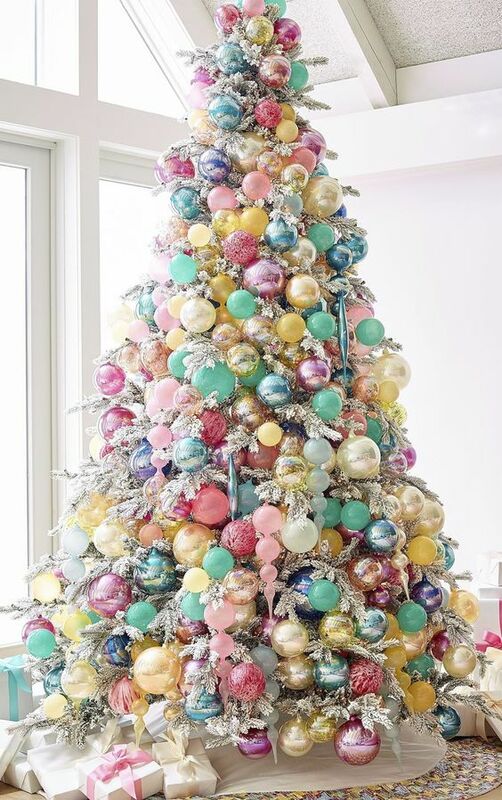 This sweet-as-candy tree is just covered in adorable pastel ornaments. It’s a more subtle nod to it’s candy inspiration, but still very light, bright and festive. Again, you don’t need a white tree, but having a flocked one will make the branches look frosted! 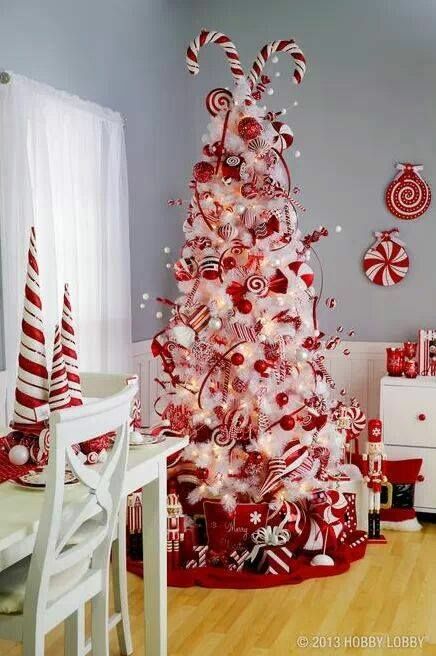 Do you have other ideas for Candy Christmas Tree ideas? 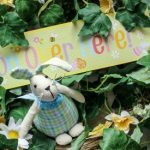 Share in our Facebook Group/a>!